No Permits = No Pipeline! 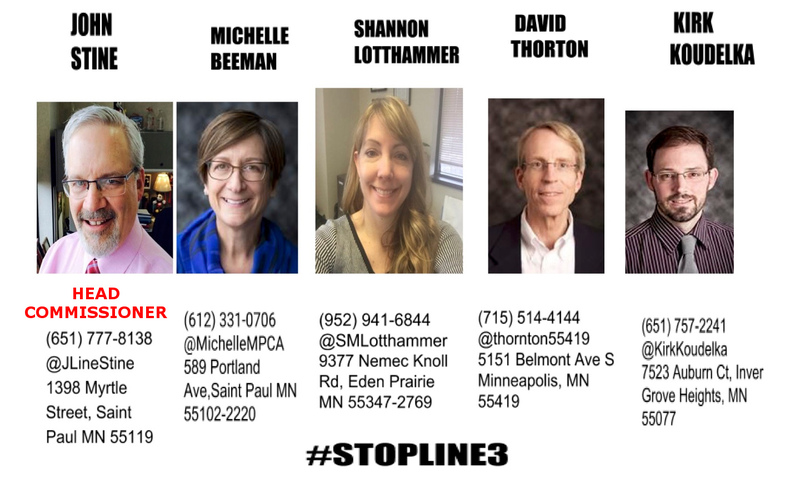 The Minnesota Pollution Control Agency (MPCA) is in charge of issuing several permits that Enbridge needs to build its new tar sands pipeline, Line 3. These people are set to destroy our wetlands, accelerate climate change, decimate wild rice and sacred sites, and bring on some good ol’ racism against Minnesota’s native communities. No permits means no pipeline, harass your local commissioner today!